Guitars have been our passion for nearly 12 years and we are now one of the largest and most popular guitar shops in the country. We do not compromise on quality but rest assured we will not be beaten on price nor on quality of service, with experts available 6 days a week instore and online.We have a full service guitar repair department too.Our Guitar Shop Is Stocked To The Brim w/Guitars & Much More!We specialise in guitars and that's what we do best. Our staff of guitarist's continue to play music in various rock bands,teach guitars at our academies, using the gear we carry so their experience can inform their advice and guidance to customers in choosing the right guitar. The performers, the hopefuls, the just starting, the famous and the emerging stars are in the store and playing in this city and beyond. 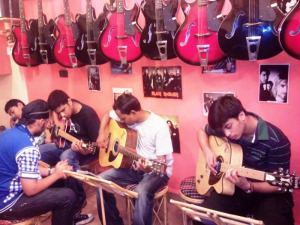 In the new century, we're a store run by guitarist's for guitarist's, active in the Mumbai music community.In our store, we try to offer the kind of quality merchandise that the big box stores have, but with a quality of service that is unmatched by their cold, faceless corporate culture. There are no "used car salesman" attitudes here, just real musicians who are knowledgable and friendly and willing to help you find the gear you need. 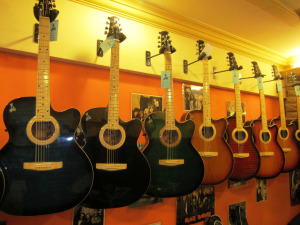 Honesty, knowledge, and a pressure free environment - that's the Guitar Hall way. We hope you enjoy your visit.